Is alt-right still all right? 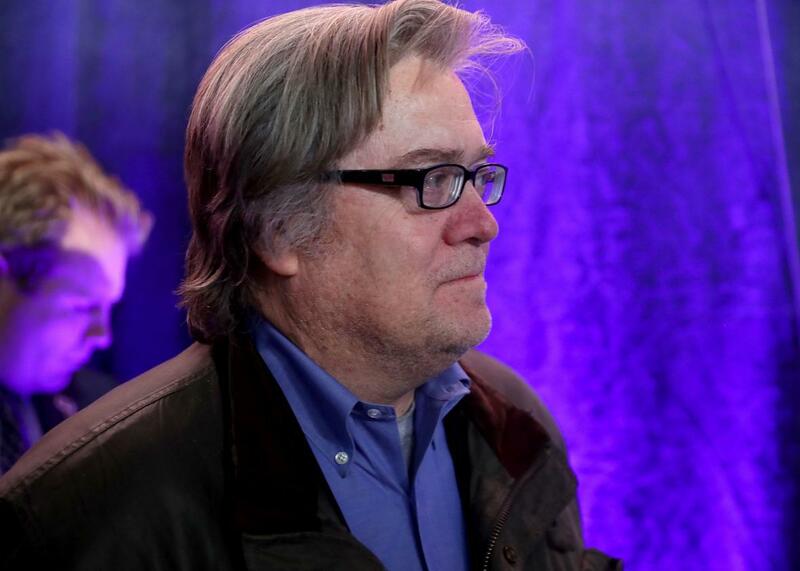 Trump adviser Steve Bannon’s former site, Breitbart, is widely considered one of the major publications of the alt-right. You might wonder what, if anything, distinguishes the alt-right from more hidebound racist movements such as the American Nazi Party and the Ku Klux Klan. The answer is very little, except for a bit of savvy branding and a fondness for ironic Twitter memes. Spencer and his ilk are essentially standard-issue white supremacists who discovered a clever way to make themselves appear more innocuous — even a little hip. The debate over what to call Spencer and his ilk is more than a purely semantic one. The wrong terminology, ThinkProgress and others have argued, could contribute to the normalization and promotion of virulently racist beliefs. The fact that alt-right is a label Spencer chose himself also places it under deserved scrutiny. It includes those open to exterminating nonwhites and those who want to sequester or repatriate them. It includes fascists, anarchists, economic liberals, conservatives, and libertarians as well as people who’d rather we abandon the modern state altogether and return to some sort of quasi-monarchy. It includes vociferous Christians, secularists, pagans, and even a handful of Jews, to the disgust of the movement’s many, many strong anti-Semites. All of this might seem like hair-splitting for the benefit of racists, but accuracy is important. In a roundabout way, imprecision contributes to the growth of these groups. Getting the substance of these beliefs wrong, as abhorrent as they are, feeds claims that the media has unfairly impugned and misrepresented ideas that exist outside the intellectual mainstream. The term neo-Nazi is particularly problematic in this way. The crowd at NPI’s conference no doubt included more than a few who thought Hitler was grand. But despite Spencer’s intentionally provocative use of Nazi phrases, he hasn’t exactly committed himself to the tenets of National Socialism. Sadly, the appeal of virulent anti-Semitism is not narrowly limited to Nazis. Some in the alt-right have denounced Hitler—naturally, for the wrong reasons. Matthew Heimbach, leader of the Traditionalist Workers Party, wrote in 2013 that Nazism was despicable because it subverted Christianity and killed too many white people. Moreover, like the word fascist as applied to Donald Trump, neo-Nazi has the dangerous effect of suggesting the beliefs espoused by people like Richard Spencer are somehow foreign to American history. They’re not. When Spencer claims the United States was founded by white people for white people, he’s entirely correct. His calls for a halt to immigration to preserve ethnic purity are calls for a return to what was long mainstream policy. Even his flirtations with Nazism recall the ambivalence among some Americans about the Third Reich during the 1930s. Spencer, European pretensions aside, is an all-American racist, the latest in a long line of nativists declaiming the fall of the white man and the West. He won’t be the last. And adopting a term like neo-Nazi that suggests the ideology being peddled is something like an invading force, emanating from something that happened elsewhere, allows us to elide the darkness of our past, as we so often do, and blinds us to both the staying power of American racism and the ways it influences our present.